Jenny Bowker is the main sponsor of the Tentmakers of Cairo and has been instrumental in getting their names and talents known in the world. She spoke for 40 – 45 minutes in Adelaide and the talk was phenomenal in setting the scene and showing how hard it was for the men and their families, and how important it is to sell the quilts to help them out. So, we are very pleased to announce that Jenny will also be coming to Perth to speak at our Tentmakers’ evening. Jenny is a renowned quilter and teacher and well known to many WA quilters. 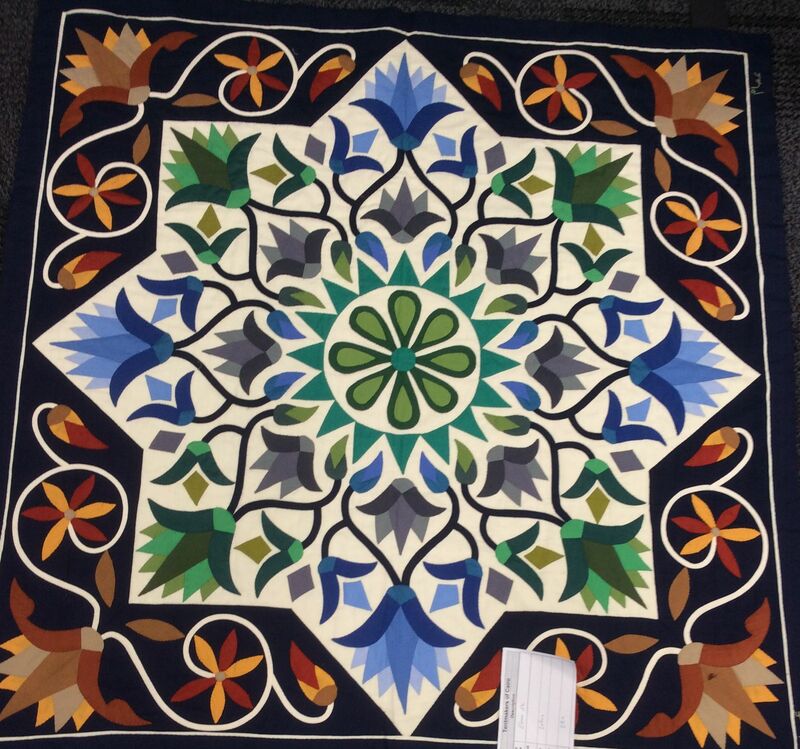 Quilts will be on sale during the evening and we may have up to 50 quilts – far more than the initial 30 quilts promised. 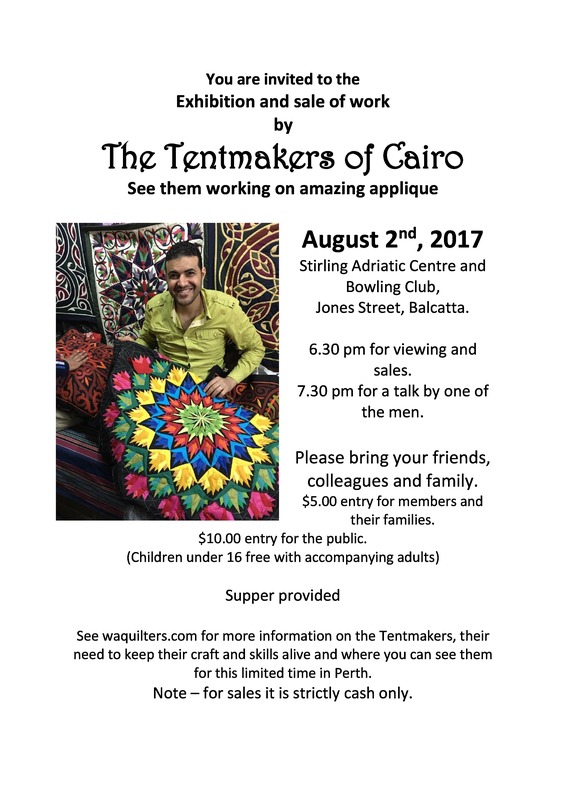 So, it will be a fantastic opportunity to get to own one of these gorgeous quilts and will also be an amazing exhibition. This entry was posted in Exhibitions, General Meetings, Notices. Bookmark the permalink.